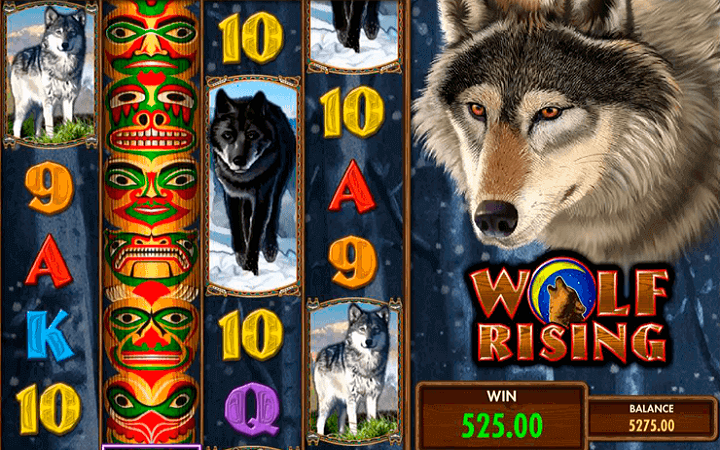 Wolf Rising casino slot game has many similarities with Samba De Frutas; both are “long” games. IGT online slots design different looking video slot games as a series; each game has eight slots on reels instead of the usual four. This design decision results with very long reels and a pay line amount of 100. Your winning odds are higher too – more slots, more pay lines, more odds. Wolf Rising online slot game by IGT is also a good looking game, it is based on wildlife (wolves, especially) and the pastel look of the art style really fits the theme. The game uses numbers and letters as for the low-valued symbols and wolf pictures as for the high-valued ones. The black and white wolf symbols are the most valued ones with a payout of 500 coins. All symbols are rectangular, not square and they land on more than one slot because of their size and shape. 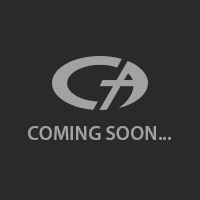 Looks good to be honest – they are more esthetic than the classic square-shaped symbols. A purple totem picture is used as the wild symbol. It substitutes for all other symbols in the game (except scatter) and pays 1.000 coins, if you manage to land five of them at the same time. The scatter symbol is shown with a “bonus” sign. If you land three scatters on reel 3, you get 5 free spins and two times of your total bet, instantly. (This feature can get re-triggered if you keep landing scatter symbols on reels.) Because of the higher pay line amount and raised winning odds, this happens more than often. Wolf Rising offers you the chance of winning 25.000.000 coins with one spin – this is the main difference of the game from others in the series. If you like to play casino slots online, we are sure that you will appreciate this payout. The game has a coin value of 1.00 to 20.00 coins. You can play with the maximum bet amount too (2.000 coins) but don’t forget that you are limited to 3.000 coins in the free slots no download version. Wolf Rising is probably the most awarding game in the series and its coin values are also lower, so highly recommended.